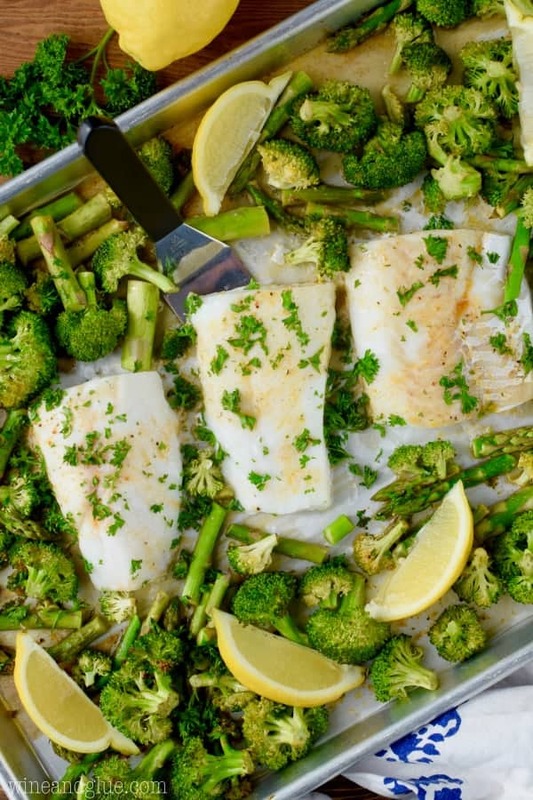 This Sheet Pan Vegetables and Lemon Pepper Baked Cod Recipe is such an easy delicious meal that is done in under 30 minutes! 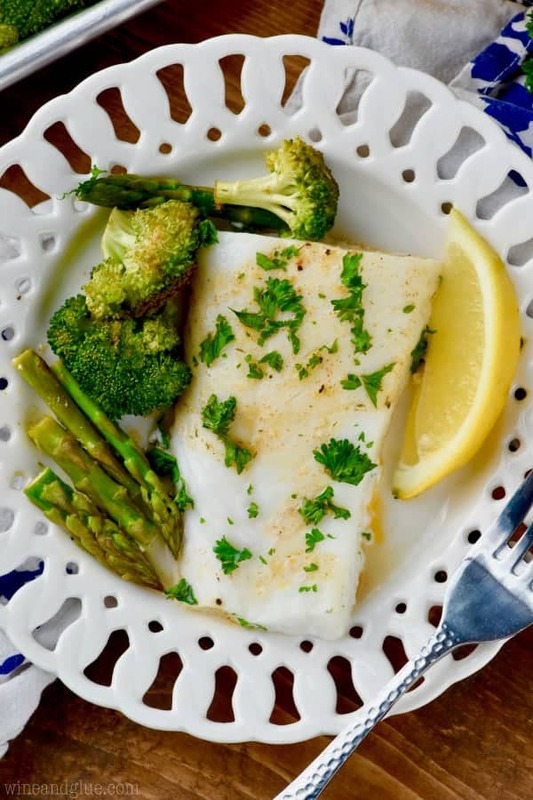 This lemon baked cod with butter is such a simple recipe that still is full of flavor! 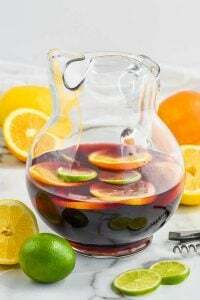 If you are looking for another great fish recipe, try this Spanish fish! It is a delicious baked cod recipe If you need another great sheet pan meal, make sure to try these sheet pan fajitas. Finally, if you want another lighter dinner, try these healthy meatballs! T-minus 20 some odd days before I have to be in a swim suit in public for spring break . . . . guys, that thought crossed my mind as I was drifting off to sleep last night and all of the sudden I was WIDE awake. If there was ever a struggle that was real, friends, this is it. 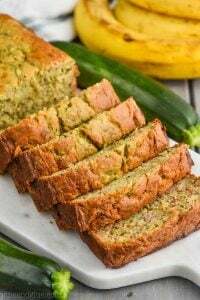 Guess what helps in the weight loss efforts? I’ll give you a hint . 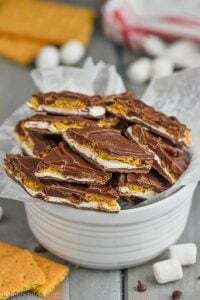 . . it isn’t making videos of Easter Egg Cookie Dough Truffles and Easter Egg Fudge! Updating pictures of Mint Chocolate Brownies isn’t really ideal either . . . But! You know what’s good . . . super easy, super light, super delicious sheet pan meals! Now to be fair, this sheet pan meal has 4 tablespoons of melted butter. But! 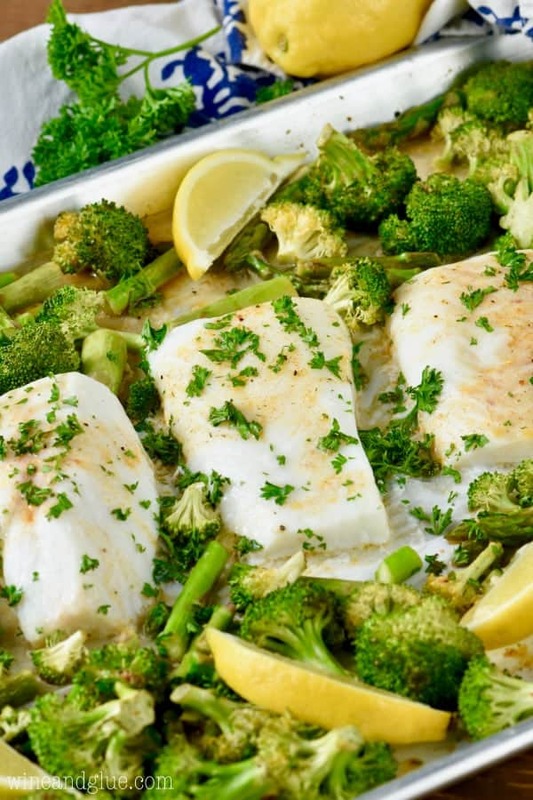 It also has baked cod, which is a lean protein, and is loaded with vegetables. And it has a lemon pepper taste that you really can’t beat. But better than all of that, this meal comes together in a FLASH. I used some pre cut broccoli, and so really all I had to do was mix up lemon juice, butter, spices, slice up some asparagus, dice a little parsley, and toss it in the oven. It bakes up perfectly in about 14 minutes, and the left overs are good! I made this when the light was right in my house but the family wasn’t there to eat dinner, so to reheat it I put it in a vegetable steamer (one serving at a time) for a few minutes over some boiling water and it was perfect. 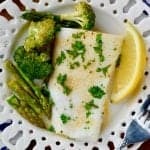 This Sheet Pan Lemon Pepper Baked Cod and Vegetables is such an easy delicious meal that is done in under 30 minutes! It is best to thaw frozen cod in the refrigerator overnight. LOL, the struggle is real! You described it perfectly. 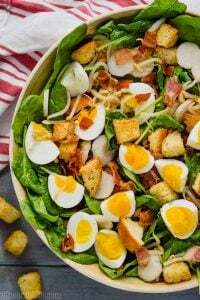 I can’t even tell you how much this meal appeals to me, it looks so clean and gorgeous, pinning and sharing! !